8911 Northeast Northwest Colonnade Drive has a Walk Score of 45 out of 100. This location is a Car-Dependent neighborhood so most errands require a car. This location is in the Sommerset West - Elmonica South neighborhood in Hillsboro. Nearby parks include Rock Creek Greenway, Evergreen Park and Rock Creek Park. Explore how far you can travel by car, bus, bike and foot from 8911 Northeast Northwest Colonnade Drive. 8911 Northeast Northwest Colonnade Drive has some transit which means a few nearby public transportation options. Car sharing is available from RelayRides and Getaround. 8911 Northeast Northwest Colonnade Drive is in the Sommerset West - Elmonica South neighborhood. 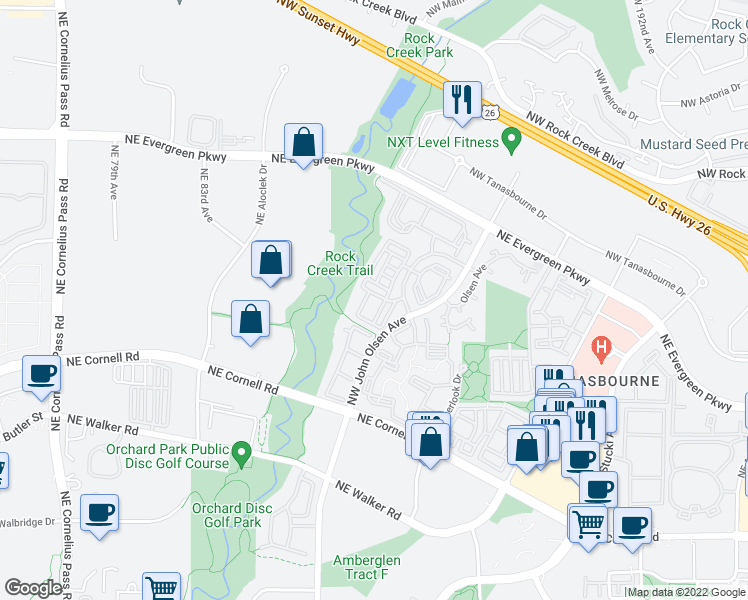 Sommerset West - Elmonica South is the 3rd most walkable neighborhood in Hillsboro with a neighborhood Walk Score of 47.